Self-limiting: Hard to do it “incorrectly.” Generally, you can either do it or you can’t do it with little middle ground, which eliminates guesswork. Not easy, which means people can’t push themselves to technical failure with high reps. Only takes a few meters to get the heart rate up! Safe and challenging is a good combination. Advanced application of the cross crawl pattern. Once someone has mastered the basic crawl pattern, this is one progression you can use. Good way to sneak in corrective work: hip mobility, shoulder mobility, scapular stability, core stability, neck stability, left to right coordination…pretty much everything! Fun! Get to feel like Spiderman. Staying low throughout the movement. 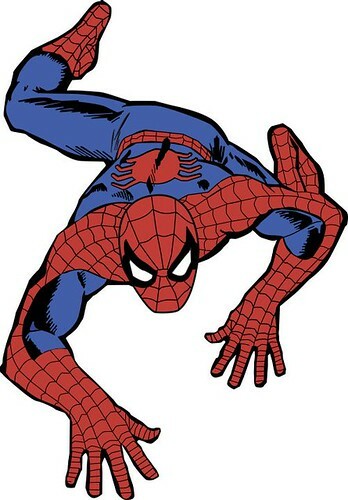 Natural tendency is to let the body rise between each “stride,” but the real Spiderman must keep a low profile when climbing on the side of buildings. Do it right. Do it faster. Do it longer. Get the movements down, increase the speed, then increase the distance. Common flaws are rounding the upper back and letting the low back sag. Natural tendency is to keep the neck extended looking forward, but I prefer to see the neck remain aligned with the spine. Look forward by looking up with the eyes. Slight neck extension is permitted, but it should not be excessive. Breathing! Avoid breath restriction when used as faux stability. Skill transfer: Who Should Use It? As noted, it tests coordination in the cross crawl pattern. Personally, I like to exploit ground-based opportunities to train this pattern such as quadruped exercises, crawling, and rolling. People are often too hurried to train upright and single leg patterns before gaining proficiency ground-based patterns. This learning progression is consistent with how young children learn locomotion (crawl-walk-run, which other intermediate gaits along the way). For example, hurdle drills are quite popular as a supposed way to train hip mobility, but frequently athletes are assigned these drills with a) poor single leg balance and b) poor overall core stability. As a result, athletes often slop their way through hurdle drills and form deteriorates rapidly via fatigue. Ground based drills do require cognitive focus, but often are more amenable to the athlete working their way through the drill on their own rather than needing heavy instruction to do it right. That’s not to say ground based drills are better, but rather we should have high standards for progression before emphasizing upright drills. In this respect, this parallels the philosophy of the corrective algorithm in the Functional Movement Screen: shoulder mobility and hip mobility come first (Shoulder Mobility and Active Straight Leg Raise). Once those patterns have been cleared, move onto Rotary Stability and Trunk Stability Push Up. Correcting the upright patterns (Hurdle Step, In Line Lunge, and Squat) doesn’t occur until the more fundamental patterns have been cleared. This is one reason we find Spiderman and other ground-based drills more preferable to throwing random upright running drills at athletes before they have earned the right to attempt them. For previous Drill-to-Skill installments, visit Deadlift Posting With Wall, Quadruped Hip Extension, Wall Switch, and Wall Supported Side Leg Swings.